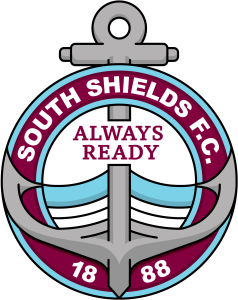 South Shields Academy continued their impressive form as they swept to a 4-0 win over Gateshead College in the ECFA Premier Cup. Sam Hodgson netted twice for the young Mariners, with Stevie Black and Will Jenkins also on the scoresheet at Silksworth Sports Complex. Shields led 2-0 at half-time, but it was their second half performance which particularly impressed joint manager Graham Fenton. He said: “It was a good display, especially in the second half. “We weren’t quite at our fluent best in the first half but after half-time the lads really upped their levels. “They were particularly impressive in a 25-minute spell in the second half and that was really pleasing to watch. In the previous round, the young Mariners saw off Kirklees College with an 8-1 win thanks to hat-tricks from Hodgson and Dom Minchella, and further goals from Olly Scott and Tom Green. SSFC Academy team to face Gateshead College: Bramley, Patterson, Lockey, Carney, Errington, Onarbay, Black, Elcoate, Colquhoun, Jenkins, S Hodgson. Subs: E Hodgson, Croft, Morris, Ames, Minchella.